It’s been a year of change for Riley Pang. The Whitecaps Residency alumni switched schools this summer, making the cross city move from SFU to UBC after two seasons and 32 appearances in NCAA II with the Clan. Never an easy choice to make, so what was behind the decision to change universities for Pang? Was it for soccer or for academic related reasons? The move has given Pang a new lease of life, and a new confidence. It’s also seen him change positions, going from being a forward with the Clan, to a defender with the Thunderbirds, where he’s played as both a centre back and a left back so far this season. “Stuff wasn’t really working for me up front [at SFU],” Pang told us. “In the first year I got a lot of minutes, but in the second year I dropped off a bit. It was my own fault, but now I’ve switched to centre back. Pang has been a revelation for UBC so far this season, becoming a key player in their backline and forming a strong centre back pairing with Connor Guilherme. The move from attacker to defender has revitalised the 20-year-old, giving a huge boost to his confidence as a footballer, and becoming his position of choice now moving forward. 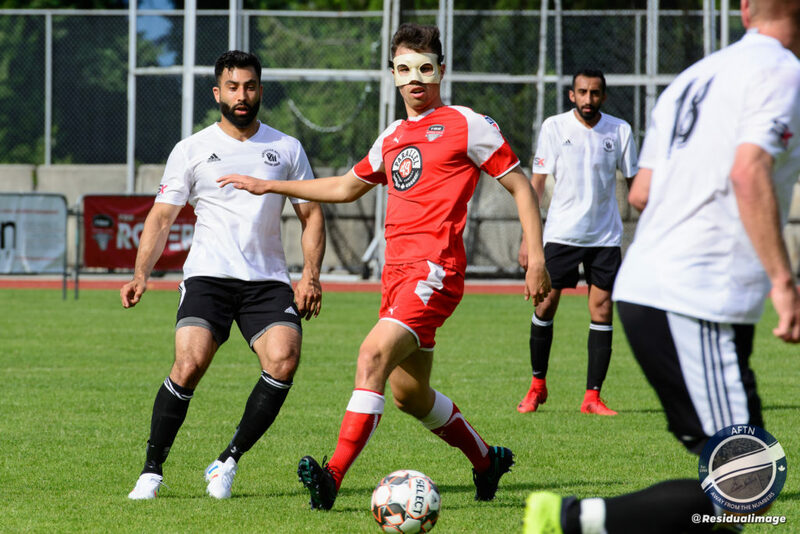 Pang has helped the Thunderbirds keep four clean sheets in their eight matches so far in Canada West this season, but it’s his footwork and ball playing abilities that have particularly caught the eye. He has one assist on the year to date, but has been sending some sublime passes forward in matches from deep in the UBC half. A massive benefit from transitioning an attacker to a defender, and one which Thunderbirds head coach is relishing seeing more of as the season goes on. The new college season has been the perfect remedy for what proved to be a disappointing summer for Pang. Looking forward to his first PDL season with TSS Rovers, Pang broke his face in the team’s last preseason match. 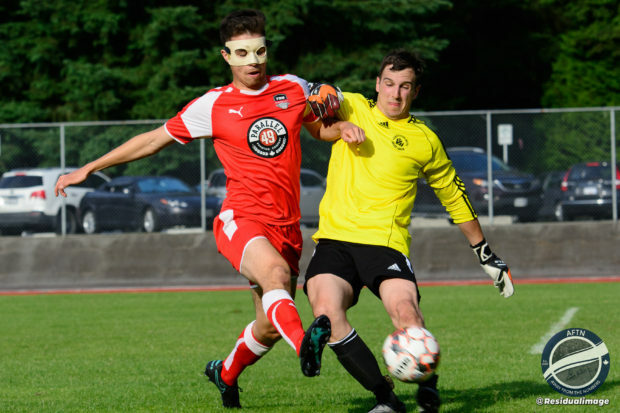 Forced to wear a mask, he was also forced to miss most of the PDL season, managing to be cleared just in time to play four games and clock up 138 minutes. Disappointing, but he certainly enjoyed the overall experience and the level of challenge the league provided. 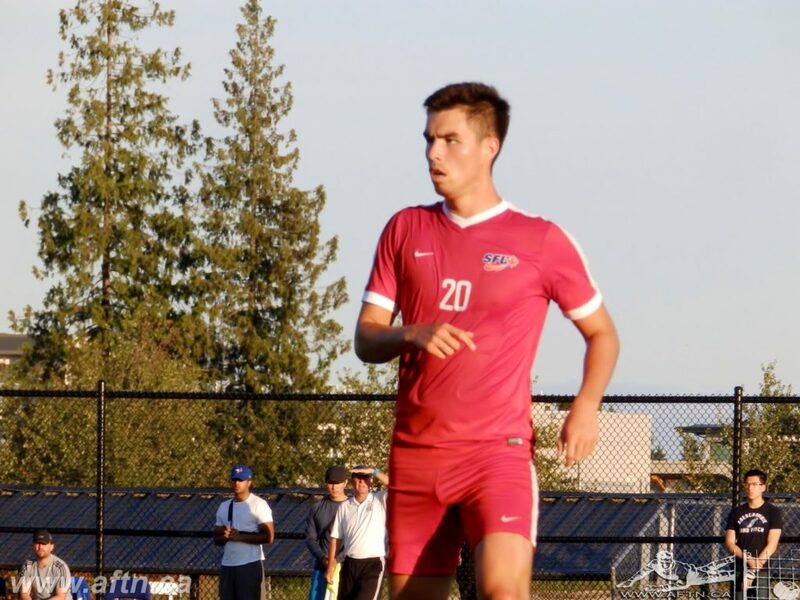 “I think it’s a great way to play in the summer,” Pang said of the PDL. “It’s a completely different level from VMSL. I was unlucky with the face. I had great confidence going into the season. I had just finished the spring season with SFU. I had already decided that I was going to leave but I was in my stride and I was scoring goals. Like many players in college this season, Pang also has his eye on the Canadian Premier League. With the fledgling league needing over 100 players for its inaugural season alone, the expectation is that many of those will come from the current college ranks in Canada. Pang is keen to be a part of that and with the battle for attacking pieces sure to be fierce, and somewhat limited, he feels that making the transition to the defence will help him achieve that goal. Pang is currently in his third year at university, with one more to go, but with the CPL starting next April, if the opportunity to turn pro presented itself to him at that stage, then he’d seriously consider it.